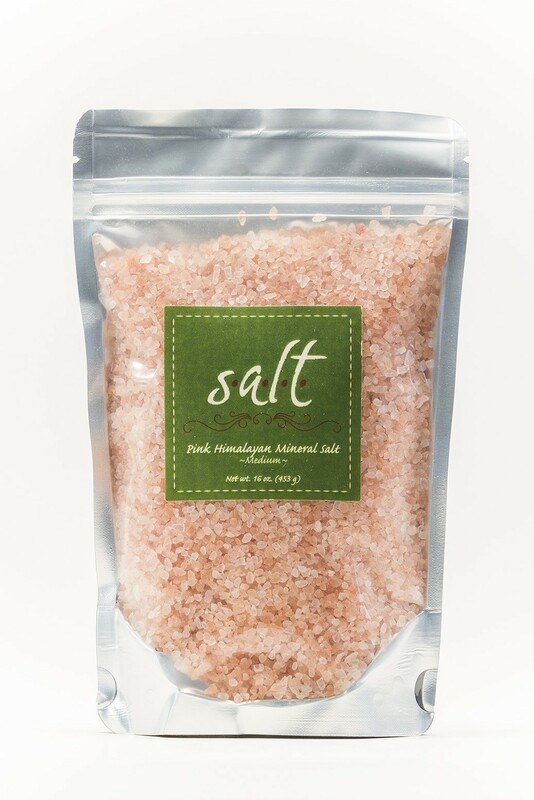 Pink Himalayan Mineral Salt is pure, hand-mined salt found naturally deep within the pristine Himalayan Mountains. The high-mineral crystals range in color from sheer white to varying shades of pink and deep reds which indicate a beneficial amount of 84 trace elements and iron. This is the highest quality Himalayan salt available. A great all-purpose salt.